» Events » Panel Discussion. Dealing with Diversity: Respect or Toleration? Panel Discussion. Dealing with Diversity: Respect or Toleration? A panel discussion on "Dealing with Diversity: Respect or Toleration?" How should people in diverse societies relate to each other? What role does the state have? Should it respect or just tolerate our differences? What, if anything, can hold our societies together? These compelling issues are given a fresh and original take in Peter Balint’s new book Respecting Toleration: Traditional Liberalism and Contemporary Diversity (OUP, 2017). 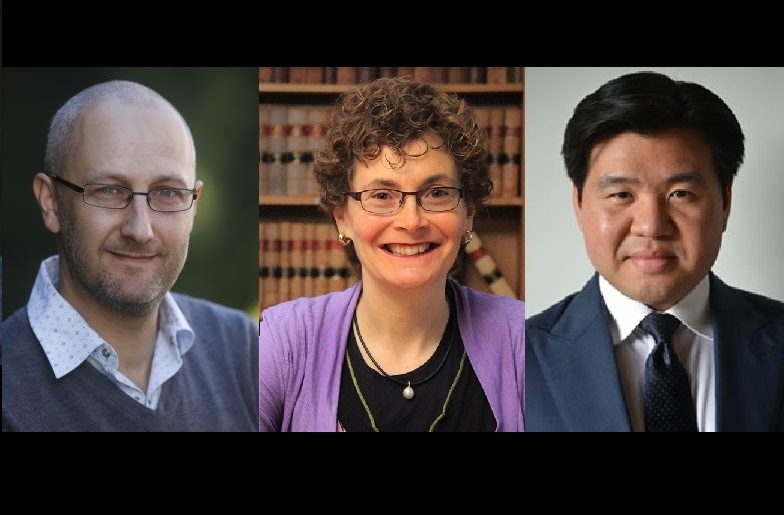 Join us to hear from Dr Tim Soutphommasane and Prof Kim Rubenstein as they reflect on these critical and timely questions, with a response from Dr Peter Balint. Discussion to be followed at 7pm by light refreshments in the ground floor foyer of the Sir Roland Wilson Building. Dr Tim Soutphommasane has been Race Discrimination Commissioner at the Australian Human Rights Commission since August 2013. Prior to joining the AHRC, Tim was a political philosopher and held posts at The University of Sydney and Monash University. His thinking on multiculturalism, patriotism and national identity has been influential in shaping debates in Australia and Britain. Tim is the author of four books: I’m Not Racist But … (2015), The Virtuous Citizen (2012), Don't Go Back To Where You Came From (2012), and Reclaiming Patriotism(2009). He was co-editor (with Nick Dyrenfurth) of All That's Left (2010). He has been an opinion columnist with The Age and The Weekend Australian newspapers, and presented the documentary series Mongrel Nation on ABC Radio National (2013). Tim is an adjunct professor at the School of Social Sciences and Psychology, Western Sydney University and chairs the Leadership Council on Cultural Diversity. Prof. Kim Rubenstein’s expertise in citizenship law, through her book, scholarly articles and book chapters is of significance to other academic scholarship, teaching, as well as public policy. Kim was appointed a consultant to the Commonwealth in its redrafting of Australian citizenship legislation, resulting in the 2007 Act and later was a member of the Independent Expert Committee set up to review the Australian Citizenship Test that reported in 2008. In 2012 she was appointed an ANU Public Policy Fellow and was named in the first batch of Westpac '100 Women of Influence' Australian Financial Review awards for her work in public policy. In October 2013 she was awarded the inaugural Edna Ryan award for 'leading feminist changes in the public sphere'. Her present research involves engaging with concepts of active citizenship with the support of two Australian Research Council grants. Dr. Peter Balint is Head of Discipline and a Senior Lecturer in International & Political Studies at UNSW Canberra. His most recent book is Respecting Toleration: Traditional Liberalism and Contemporary Diversity (Oxford: Oxford University Press, 2017). He has a PhD in Politics & International Relations (2009) and a B.A. (Hons) in History & Philosophy of Science from UNSW. His research is primarily focussed on the principles for diversity, including respect, toleration, neutrality, and social cohesion. He has previously held Visiting Fellowships at The University of Manchester (MANCEPT), The Morell Centre for Toleration (University of York), and CAPPE (Australian National University). In 2010-11 he was awarded a Senior Research Fellowship at The Goethe University of Frankfurt am Main on the project 'Justitia Amplificata. Rethinking Justice − Applied and Global'. He is a founding member of the Global Justice Network, and a regular editor of their journal, Global Justice: Theory Practice Rhetoric.